Whether you are a long-time or new resident, a visitor, merchant or doing business with in the area, we welcome you and hope you will find this website a useful resource. 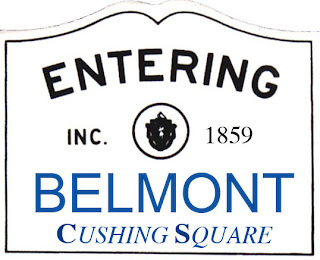 Cushing Square has approximately about 7,310 residents 0.5 mile radius and provides all the advantages of a well-presented urban center, while also keeping its small-town feel. Ever wondered about the history of Young Adult Literature? Check out his interesting article for more information! This May we will be interviewing people who have first-hand memories of the historic Moon Landing. If you would like to be interviewed about your memories of the moon landing please comment and we will reach out to you! Gender Bending Fashion exhibit challenges notions about clothing! Reserve your museum pass for the MFA today to see this amazing collection! Visit https://t.co/Z1c6shJ4JT! Do you even Oreo??! You Beg and beg and beg for this special...Here it is! Wilma Rudolph is our #WomanCrushWednesday this week! Nicknamed "The Flash" she was the fastest woman in the world in the 1960's and was the first American woman to bring home 3 gold medals in a single Olympic games. Explore the life and work of the Young People's Poet Laureate, Margarita Engle! Try your hand at creating a haiku 📝! Comment with what you come up with! While we love e-books, sometimes a physical book is truly special! Be sure to join us tonight for a special presentation by John Duddy on how to maximize your social security income. Program starts at 7pm in the Assembly Room!